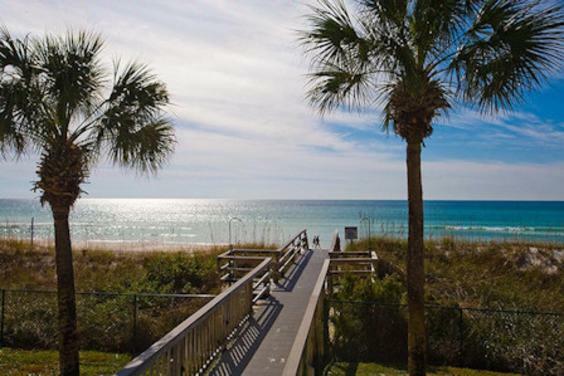 Nestled on the quiet end of Panama City Beach, we are within one mile of Capt. Anderson's Restaurant & Marina, Treasure Ship Marina, charter fishing, boat excursions, boat launching & scuba diving. Additionally there are several 18 hole championship golf courses within a few minutes from your door. We are an individual rental property located right on the Gulf of Mexico in Panama City Beach, FL. 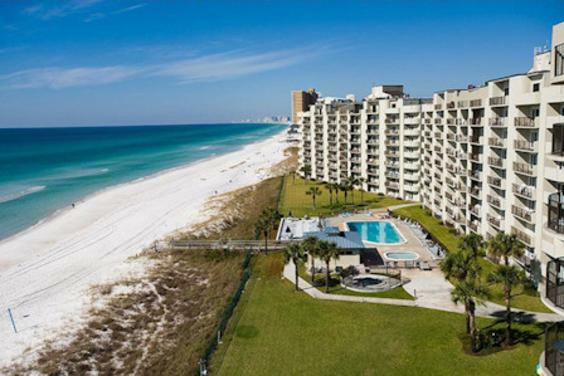 All of our 2 or 3 bedroom condos are gulf front with a spacious balcony. We specialize in short term rentals, or you may rent up to 6 months during the winter season. Our beautiful property includes 2 lighted Premier tennis courts, shuffle board, and a fitness center. 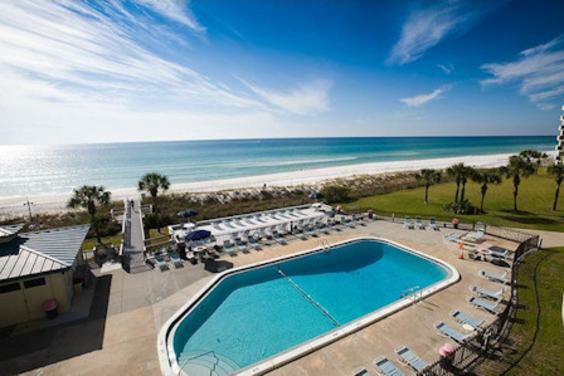 We also have a large gulf front pool, toddler pool, and a hot tub. If you are looking for a safe family spring break or summer vacation, or a quiet place to reside for the winter, reserve a unit today!